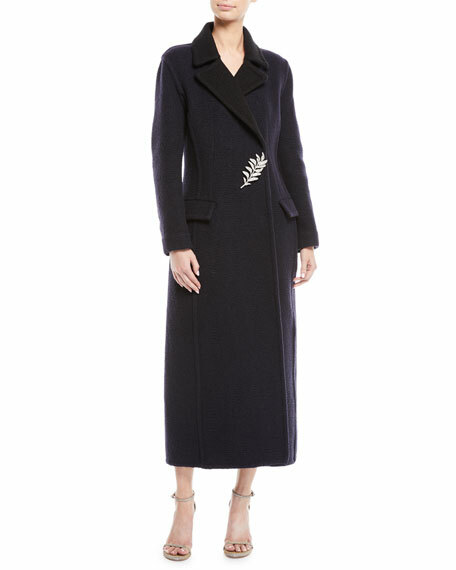 Oscar de la Renta coat in double-face cloque, embellished with leaf pin detail. 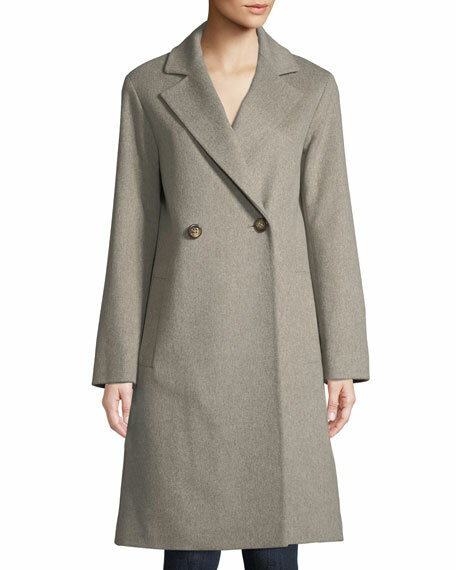 Carolina Herrera coat in double-facing wool. Spread collar in natural & dyed mink fur (Finland). Long sleeves. Front patch pockets. A-line silhouette. Ankle-length. Lining, silk. Made in USA of Italian materials. 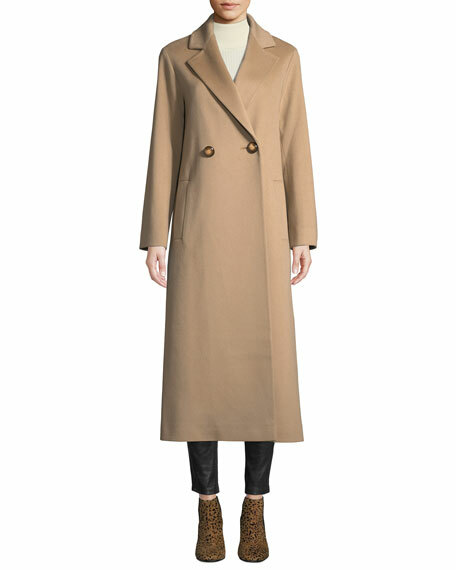 Fleurette long two-button wool coat. Approx. 50"L from shoulder to hem. Notch collar; double-breasted front. Long sleeves. Straight silhouette. Side welt pockets. Midi-length hem. Loro Piana wool. Acetate lining. Dry clean. Made in USA of imported material. 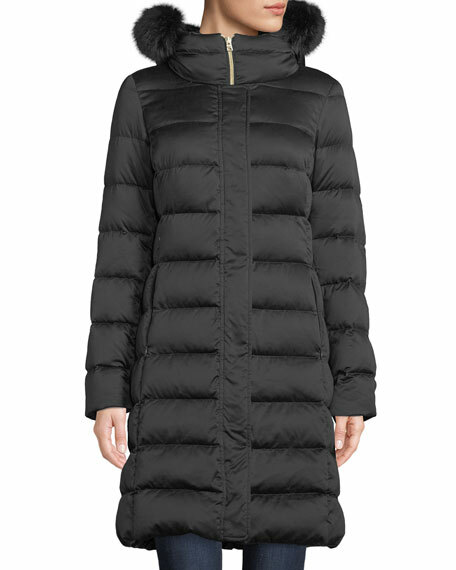 Herno long coat with fur trim at hood. Hooded collar; removable dyed fox (Finland) fur trim. Long sleeves. Hidden zip placket. 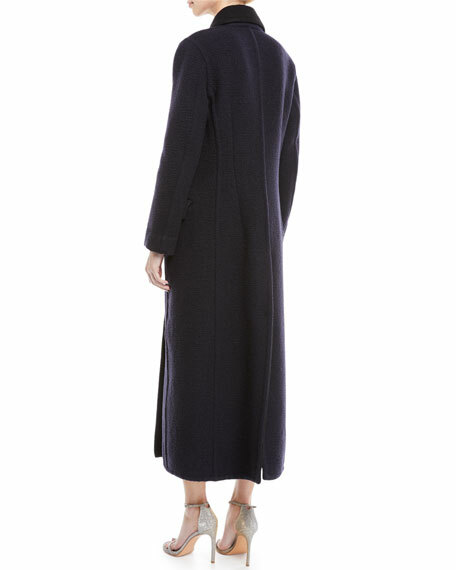 Long, streamline silhouette. Side slit pockets. Below-hip length. 80/20 down/feather fill. Polyester self. Nylon lining. Imported.